The City of Brotherly Love is dreamy in the summertime. The warmer weather invites locals to take advantage of all the beautiful city has to offer by offering a variety of outdoor and late night activities. Below is our list of the best things for Philadelphians to take part in this season. Be sure to check out all the productions available at a discounted rate on TodayTix! Nothing beats sitting under the stars with a picnic and a friend while enjoying a movie with fun-loving crowd. Luckily, Philly is not a city that is short on outdoor movie festivals. Check out the exciting schedules for the Schuylkill Banks screenings at the Walnut Street Bridge and Grays Ferry Crescent on Thursday nights, the late summer Saturday screenings in Clark Park, and the popular Screenings Under the Stars at Penn’s Landing. 2. Hang out with Nathan Detroit. That’s right, the beloved, hilarious musical Guys and Dolls is back! The esteemed Bucks County Playhouse will be presenting the big, brash Broadway musical that features such iconic numbers as “Sit Down, You’re Rockin’ the Boat,” “If I Were A Bell,” “I’ve Never Been in Love Before,” “Luck Be A Lady,” and much more. Guys and Dolls will be running from July 21st until August 12th. Set an alert now to be told when discounted tickets become available on TodayTix. 3. Dine on the water. 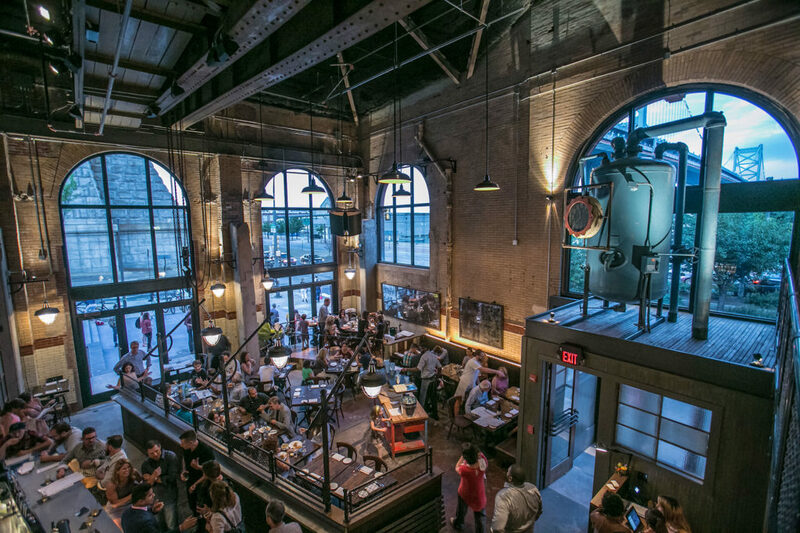 This funky, spacious brasserie lives in a converted pump house that is also the home of FringeArts. Voted the Best American Restaurant by Philadelphia Magazine, La Peg‘s delightful fare, industrial-chic design, and dramatic views of the Benjamin Franklin Bridge are perfect for both casual and celebratory dinners alike. La Peg features a beer garden and outdoor bar as well as fire pits, making it a great spot for the warmer months. It’s is a great place to stop into before and after seeing a nearby show. 4. Check out the Philadelphia Women’s Theater Festival. The Philadelphia Women’s Theater Festival creates, celebrates, and fosters opportunities for women in theater. A diverse group of artists across all artistic disciplines stands front and center in the productions, readings, and other events that make up the exciting week-long theatre fest. Check out TodayTix for Festival Passes and $25 tickets to the new musical that stands at the center of the PWTF, Hear Me War. 5. 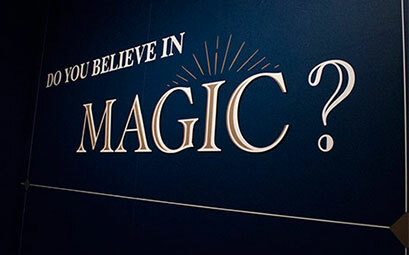 Learn about ancient magic at the Penn Museum. On a particularly hot day, it’s always nice to escape the heat in a cool museum. This season, a must-see exhibit is the Penn Museum’s Magic in the Ancient World. Learn all about the history and evolution of magical cultures throughout the globe by examining fascinating objects, scriptures, and rituals. The special exhibition is a delight on it’s own, but also compliments the other educational and entertaining shows at the esteemed Penn Museum. Need more summertime entertainment? Have no fear, TodayTix has you covered for some of the best last-minute ideas!